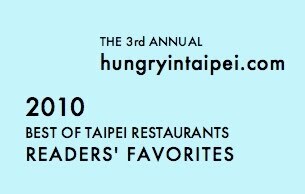 3rd annual HungryinTaipei Readers' Choice Award Winners! The results are finally in! I had vowed to myself to have these posted by January this year and somehow February flew by and it's the end of March again! With a lot of new winners this year, I had a little more legwork finding addresses and translating and writing up the ones I have yet to go to. It's always interesting to see what you guys vote for and what I've heard of and what's new and what categories are close races and others that are landslides. Thanks to everyone who took the time to vote and share their favorites- I really hope more and more of you will vote each year! Some categories were unable to get votes or a consensus so I haven't named any winners. In some ways, this blog was started as a cry for help for good Mexican food in Taipei and it seems that many of you were craving the same thing. Oola Mexican Grill was one of the first to bring counter service burritos, carnitas and fresh guacamole to Taipei and won your vote for favorite new restaurant in 2010. It seems to have changed ownership with the new year and the reopening has added burgers and pizza to Oola's menu. Taipei is famous for its night markets and for good reasons- the multitude of late night offerings for the price of the change in your pocket. Hot, icy, bite sized, giant and fried, stinky or on a stick - each night market has its own specialties as well as the usual suspects. I just went to Abu, last year's winner of Favorite New Restaurant of 2009, to celebrate a special occasion myself (my birthday!) and I can't wait to go back. Not only did our set menu include many of my favorites, but the French Italian dishes were executed so beautifully that each dish left me wanting more and looking forward to the next dish. Don't miss out on the foie gras and souffle if you can order it. It's been awhile since I first tried Flavors and I'm due back for a visit. An intimate setting and Swedish cuisine menu to wine and dine your sweetheart, Flavors still is a spot for readers to celebrate a special occasion with that special someone. Just don't forget to order the apple cake! Winner for the third year in a row. There might be cheaper or fancier options, but world famous Din Tai Fung is inevitably where we'll take our friends to eat as voted best xiao long bao. Hands down, those of you that voted love the original bite sized XLB and wouldn't consider a trip to Taipei complete without a visit there. Winner third year in a row. L'Idiot swept the votes for best new restaurant in 2008, offering seasonal but simple Western fare, with special menus for the holidays. The weekend brunch and open space that can seat large groups and offer space for kids to run around make it a family favorite. Winner for the third year in a row. Eat at the covered, indoor part of Shih Lin Night Market or follow the crowds to the street eats near the theater or tucked inside the alleyways. Offering all the classic night market foods from oyster omelette to stinky tofu to baos to shaved ice or random food on a stick, Shih Lin barely edged out Shida for favorite night market. Located across from 101, Marquee has Happy Hour specials, Ladies Night and hotspot lounge bar atmosphere to make it the readers' choice place to meet for drinks into the wee hours of the night. Not that McD's will ever replace my favorite Thai take out place in LA, but the thought of having hash browns and mcnuggets without having to leave the house, on that rare occasion, sounds pretty good. Just practice ordering "su bing" and "ji kuai" in Chinese! Order NT$399 of food and the delivery is free. I've definitely been guilty of ordering from Pizza Hut when it's crazy raining outside and I'm craving Hawaiian pizza. You can decide if you want the traditional Supreme, or something wilder like Japanese Takoyaki or Korean Kimchi BBQ. Winner for the third year in a row. Grab a quick lunch while sightseeing at 101 Mall or just go for the variety. Offering almost every type of cuisine as well as teppanyaki, desserts and lots of familiar chains (KFC, McD's and Subway), you can also hit up JASON's Supermarket for some hard to find (but pricey) items before you head home (or back to your hotel). Winner for the third year in a row, Mos Burger beat out McDonald's as your favorite stop for a quick bite. Hamburger or rice burger, Mos Burger offers up Asian flavors at a fast food setting. Don't be afraid to eat your rice burger to go, it comes in an indestructable styrofoam pouch to catch all the sauce. Near a college campus you'll always find lots of cheap and good eats and Shida is no different. Voted favorite neighborhood/area to eat, it's one that I have to do a lot more exploring in! I'm always excited to discover authentic Western eats and to share them with you and happy when I hear that you guys agree with what I think. Burger Stop was voted as your favorite find from HungryinTaipei.com , as well as tied for Favorite Burger, and it was one of mine last year as well with its burgers and milkshakes fulfilling a craving for those of you missing a certain burger chain from the states! Rumor has it that they've added banana splits to the menu! Winner for the third year in a row. When even the locals line up for this Taiwanese restaurant, then you know that it's good. Shin Yeh offers Taiwanese classics like gua bao, run bing, sweet potato porridge, pan seared pork liver, or oyster omelette in an elegant, family friendly setting. For the fancied up version, make a reservation at the 101 location, which offers a birds eye view of Taipei from the 85th floor. Winner second year in a row. Sushi Express adds a little fun to catching your 'fish'- customers choose from a parade of sushi plates whizzing by on a conveyor belt. I admit I was slightly surprised to see this as the winner, but with multiple locations and plates as low as NT$30, you can create your own omasake without the usual damage to the wallet. I've never been, so I'll have to try it out. The Diner beat out last year's favorite American/Western winner Chili's, with its prices and all day breakfast menu and is the winner for the third year in a row for favorite western breakfast/brunch. By now, everyone craving pancakes and omelettes knows about the Diner, which has inspired a bevy of knock off diners and all day brunch joints. But the original still holds the top spot with its tasty pancakes, eggs benedicts, omelettes or even a breakfast burrito and added a new location this year. Those wanting to treat themselves to a gourmet meal in a restaurant opened by Robuchon, who currently holds the most Michelin stars in the world, no longer have to leave Taipei. I've heard that the set menu and experience is worth splurging for, despite the high price tag, and is just as divine as dining at any of his other L'Ateliers around the world (Paris, Hong Kong, London, New York, Las Vegas, and Tokyo) with the stylish open kitchen and luxe ingredients. I can't wait to confirm it with my own tastebuds. Papa Gio offers classic Italian housemade pastas, thin crust pizzas and authentic family style dining by an Italian chef and owners. I've always passed by while running around the alleys behind ZhongXiao E. Road, and will have to stop by for a meal sometime soon. Solo Pasta captured my heart with my first bite of its balsamic duck pasta and I hear has become a favorite of many readers of this blog as well. A lot of flavor for a really affordable price, Solo Pasta works both as a place for a large party or just a party of one. Stick to my recommended pastas and you shouldn't be disappointed. Winner second year in a row. Once you try Saffron, you'll realize that not all Indian curries are made the same. Offering a a wide variety of Indian fare in an upscale setting, Saffron's fragrant dishes are rich without being greasy and you can watch the chef making the naan to order in the front window. I've been told they'll also deliver via taxi for the cost of the taxi- definitely worth trying out when you can't trek to Tianmu. Winner second year in a row. Thai Town makes it easy to like them- lots of locations, offering upscale casual dining, good service, and consistently delicious Thai food. Choose your favorites from the menu (I love their chicken curry with Thai white rice, satay and pineapple fried rice) or get their pre-combined set menus of their most popular dishes. Winner second year in a row. If you've never had a Vietnamese sandwich, you need to run to Yue Yuan Pho, which created the perfect combination of toasted french baguette, grilled chicken, pickled carrots and radishes and special sauce. Waiters wearing bright purple shirts that state "Good Pho You" bring food to the table that lives up to their slogan. Ari Tofu House offers a menu full of soondubu jjigae, or as-spicy-as-you-want soft tofu stews, for those looking for some Korean comfort food. Each set menu includes stone pot rice and an array of complimentary little dishes of cold appetizers, but I recommend adding some beef or kalbi beef ribs to your set. With almost 100,000 likes on Dazzling Cafe's Facebook page, it's no wonder there are continuously long lines for their infamous honey toast. What's honey toast? A huge loaf of toasted bread with the insides scooped out, toasted cubes, put back in and topped with drizzled honey and ice cream- sort of like french toast on steroids. Oh yeah, Dazzling also serves food. Everyone in Taiwan should be familiar with the Chinese breakfast- a bowl or cup of soy milk with chinese pancake, fried cruller or sticky rice ball. The most famous is in Yong He, which inspired a myriad of shops with the name Yong He Dou Jiang. While they are not all the same, here are a few to start off with. Thick or thin, hard or soft, salty or spicy, rich or not? These are the questions diners have to answer when ordering ramen at Rakumenya. After options are checked off on an order form list, hot bowls of soupy ramen come to the table and the slurping begins. What's so special about beef noodle soup that it inspires a whole festival and competition every year in Taipei? Comfort food for some, everyone has a different place for their favorite bowl. This year, voters chose Lin Dong Fang for the springy noodles, tender beef and housemade chili paste that transforms the broth. Winner second year in a row. Chao Ping Ji makes traditional dim sum fried and steamed to perfection, as well as offering a few unique spins on dim sum like the Sauteed Rice Roll with XO Chili Sauce and a full menu with Chao Chow specialties. If Burger Stop = In-N-Out then 1885 Burger Store = Red Robin. One is a fast food burger and shakes shop and the other is sit down with more burger topping options and fat french fries. Both stand out of the pack of the burger rush of restaurants that have opened in the last few years with their juicy patties and good prices. Spicy hotpot or mala hotpot is another must try for those visiting Taipei, and Tripod King is one of the most popular. Tripod King gets its name from its special hot pots, huge metal pots with three short, strong feet, which can hold two flavors of soup, so that those who can't handle spicy can share a meal. Don't giggle when the waitresses bow every time they leave your table or forget to take home a bag of the leftover broth to make some more hotpot at home. For the third year in a row, locally founded Alleycats wins votes with its stone oven baked pizzas, thin crusts and fresh toppings. One of my favorites is the "Napoletana" with fresh tomatoes, goat cheese, anchovies, olives and spinach (and I switch out the anchovies for mushrooms). With affordable prices and huge menu of toppings, Maryjane Pizza fits the bill for those looking for classic pepperoni or those looking for something different. Artichokes, jalapenos, blue cheese, squid, carmelized onions, sunnyside egg and smoked salmon are all options for more unusual toppings and if you don't find what you want from the preset combinations, you can make your own. With two locations near college campuses, the third newest location is in Dazhi. Winner second year in a row. I've been hearing a lot about A-Cut for years when I asked about the best steak in Taipei, and it seems that the readers agree. Also chosen by Taipei Times as one of the staff's favorite restaurants of 2007. At the food courts here, instead of salad bars, we have Minder Vegetarian which is a pay-by-weight vegetarian buffet of sorts. With an array of mushroom, soy, greens and vegetables to choose from, you can add a bowl of rice and soup for a little extra and feel a little healthier than your average food court meal. As someone who thought scones were always rock hard and dry, the warm-out-of-the-oven buttery scones from Smith & Hsu were a revelation. You can't go wrong with a bit of clotted cream, lemon curd or jam on top, and the inviting space to chat with a friend for afternoon tea. For serious tea drinkers, there are over 50 teas to select from, as they give each table a tray of bottled tea leaves to browse and there is a shop area to buy teas and tea sets. Winner second year in a row. Since opening its first location at the Shida night market, Yofroyo has established itself as the frozen yogurt favorite and added three more locations. A rainbow of flavors to choose from, with fresh fruit, freshly made mochi and sweet toppings served up in a satisfying size, all for under NT$70. Open late, so you can go for a late night snack at the shop or to-go. 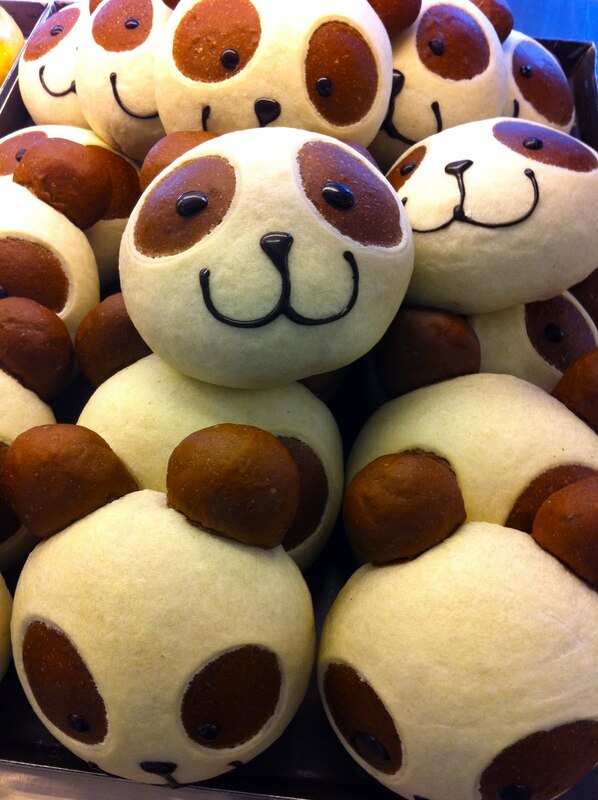 Meet Fresh, otherwise known as Xian Yu Xian, quickly gained a name when it opened over 100 outlets across Taiwan. Besides shaved ice topped with condensed milk, various tapioca balls and colorful QQ bites, you can also get a variety of hot or cold dessert soups, herbal jellies, sweet tofu pudding or teas at the popular dessert shop. There's nothing like boba milk tea in Taipei- it's cheap, it's quick, it's customizable and comes in flavors you never knew tasted so good. At 50 Lan, I like the milk tea with small boba, less ice, less sweet and with fresh milk. With a huge menu of icy and fruity drinks, you might find yourself there often during a heatwave, or even when it's rainy and cold out. Just look for the bright blue and yellow signs. There are so many good bakeries in town, it's hard to choose one, but this year Paul got the most votes for its breads, pastries and sandwiches made with ingredients shipped from France. The fancy chandelier setting and extended brunch menu including crepes, quiche and sandwich & soup sets make it a popular spot too, despite its pricey fare. Even though their shops doesn't display their cakes, Black as Chocolate has gained a loyal following with its chocolicious cakes, ice cream and stylish packaging. I recommend trying the classic chocolate cake or the chocolate cheese cake. Finally! I'm done! Hope you enjoy the list and leave a comment on what your favorites are or if you find this list useful. We'll do this again at the end of 2010 and see if I can ever get the list out by January! With so much competition in town, a bakery has to be pretty good for me to keep going back. So after passing by Bread Societe and its unique logo for months, I finally stopped in one afternoon. When I found myself stopping by Bread Societe again and again, I knew that I had to try different things in the store to see if it could become a new favorite. 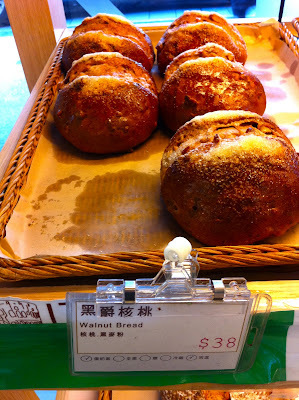 If you pick up one loaf, the one that had me addicted was the walnut bread (NT$38) which is dusted with sugar on top to give nuttiness an extra layer of sweetness. The bread is soft and usually devoured by the time I get home. There's also quite a few healthier loaves that aren't as sweet, including cranberry walnut bread and multigrain wheat bread. 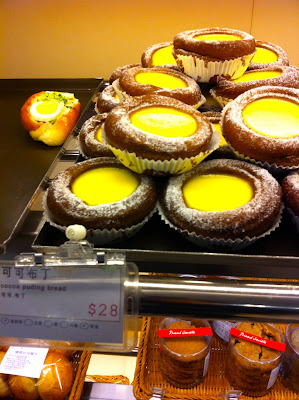 I also love that most of their items feature English as well as Chinese signage so I'm not guessing like I often am in most bakeries around town. The shop is also very clean and modern. I also like their soft garlic cheese bread (NT$36) and pineapple bun. And how could I not pick up one of these adorable panda breads (NT$35)? I've seen a lot of cute bread, but this one rivals Mr. Donut bear donut cuteness. I just noticed that the sign says that the it is a raccoon, but I think it looks more like a panda. LOL. The bun is heavier than expected with a firm exterior for the crust. 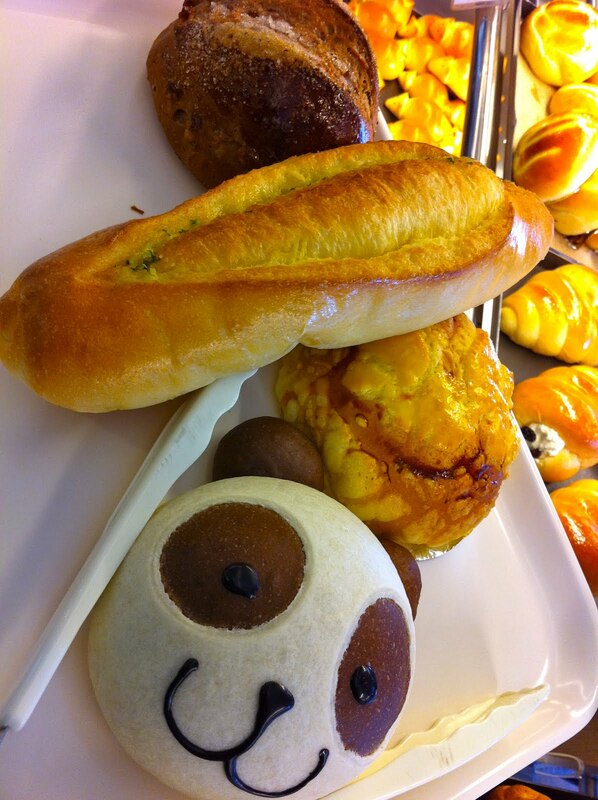 There's also pudding breads, loaves of sliced bread made with soy milk, cookies and cakes. I even spotted Boston Creme pie and three types of cheesecake by the slice. (Try the lemon cheesecake for creamy, thick cheesecake with a citrusy topping). There's also coffee, teas and soup (priced somewhere between Starbucks and 85 degrees) and mellow interior seating in some shops for those looking to afternoon tea or grab an early breakfast. No. 20, Lane 38, TianYu St.
My new favorite for french toast is using the French baguette toast loaf from Donq in Xinyi Mitsukoshi, A8. Perfect with fat slices and airy pockets to soak up the milk. Ever since spotting the chef at the Le Meridian buffet soak the slices in milk only first, then egg mixture, I discovered a new favorite. Soaking the bread in milk first ensures a moist bite, without having to worry if the egg is cooked through. Dusting it with powdered sugar by tapping some through a strainer, if you have it on hand, makes it look more dressed up without a lot of effort. I swear the room fell silent when the honey toast (NT$180) came out from the kitchen. Maybe the other diners didn't see the new item on the seasonal menu, or maybe they didn't expect it to be big, or smell so good. Either way, the space in Fu Diner seemed to shrink even smaller when all eyes were on us as the heaping dessert floated towards our table. If you haven't heard of honey toast yet, imagine cubes of crunchy toast spread with honey, topped off with ice cream, pudding and more honey. The first time I had it was at Ichiza in Las Vegas a few years ago, and I haven't eaten it since. The popular place to get it now in Taipei is Dazzling Cafe, where you might spot a line of fashion forward girls waiting outside, but I haven't had the patience to try that out yet. I wished there was a tad more ice cream to share, but we were sharing between four people while the other table was sharing between two. Also order it before you're done eating if you don't want to wait. We were there on a busy Sunday night and there was only one server running around and we were waiting after we were done because we didn't order dessert until the end. I also like the Indian curry omelette more than the chicken teriyaki omelette now, especially since the recipe seems to have changed since I've first had it. 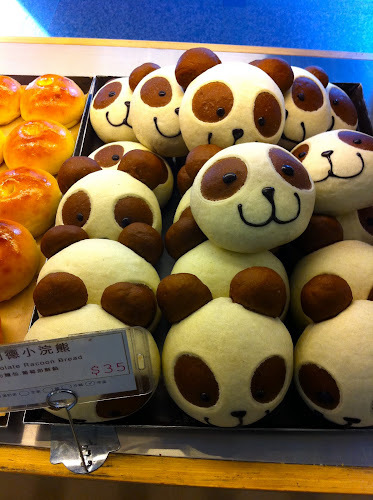 One of the upsides to Taipei is the crazy number of bakeries in town that offer freshly baked breads and sweets everyday- you can't really walk down the street without passing one and its window of goodies catching your eye. One of the downsides to Taipei is the temptations from all those bakeries and carbs and sugars saying, "Buy me! Eat me! I'm so delicious!" Eventually, you'll have a list of your favorites and what's best at which bakery, like I do. I love the chocolate mini croissants at Mini One. I love the cinnamon buns and chocolate cake at Original Bakery. I love the olive bread and apple tart at Maison Keyser. I love the garlic bread, the mentaiko bread, the sesame soy milk cake, caneles and chocolate ganache cake from Pozzo at San Want Hotel. The list could go on and on- it could fill a book. So let's talk about Bonjour. 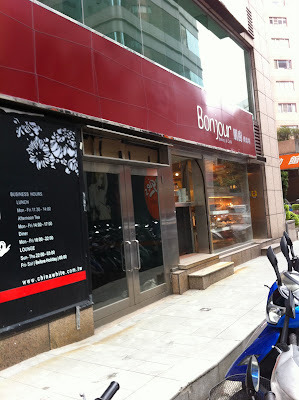 The first time I tried Bonjour was at its Dunhua Eslite food court location. They had plenty of samples, which soon got me hooked onto their caramelized, crispy pastries, like a round palmier, which you can often find near the counter. They are deadly addictive. And their onion rolls which are moist to the point of almost being oily, with a crisp crust. And their delicious caneles which also come in orange and cinnamon flavors at the location near the Diner. Unfortunately, there's not much signage in English, but you can read with your eyes and ask questions for things you are unsure of- like these cinnamon buns DO have raisins. There's even sampler bags for the indecisive. 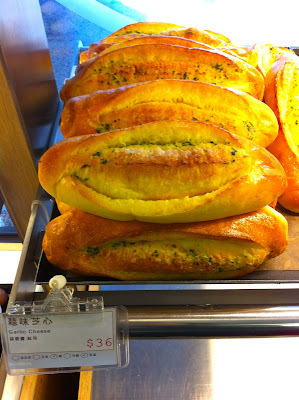 I remember seeing at the Dunhua Eslite location that they sold day old bread at a discounted price. You might not love everything you try, but you know a bakery is in your shortlist when you find yourself going back there again and again for those special items. I've tried their quiche as well which were quite tasty when warmed up at home. 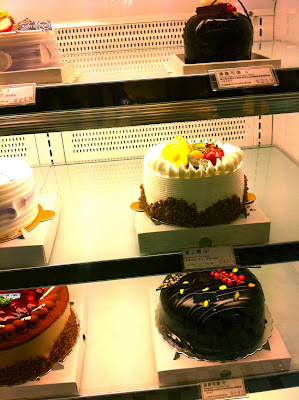 There are decorated cakes at some of the locations as well, though I have yet to try them. I was so happy to spot couscous on the pasta shelf at Carrefour. I hadn't seen it before, but hopefully i'll find it the next time. I ended up making it for lunch today right after buying it. A couple tips that I found worked well after searching recipes online. 1- I toasted the couscous before boiling it, using a touch of olive oil and medium low heat. Stir a couple times or it might burn. This reminded me of how I'd do this with Rice A Roni. After a minute, I'd just add the hot liquid directly in the pot. I used chicken stock today and think it definitely adds a layer of flavor that water doesn't. 1 1/2 cup water/stock to 1 cup couscous. It really does cook in five minutes and look fluffy after stirred up with a fork. 2- Chop up whatever you want to add. I used grape tomatoes, olives and cucumber. If I had some, I'd use sundried tomatoes too. 3- I adapted a recipe I found online from Bon Appetit, June 2006: 1/2 tsp diced garlic, 1 tbs fresh lemon juice, 1 tsp mustard, 1/3 cup olive oil, salt/pepper to taste- stir together to use as a dressing for couscous. I was thinking about using wasabi instead of mustard next time. Drizzle onto couscous and top with veggies. I ate it warm, but could be served as a cold salad too. Next time I want to try making the box of quinoa that's been in my pantry! When I saw these Hello Kitty silicone molds a few days ago at the Sanrio store, I couldn't resist! Cheaper (and hopefully better tasting) than eating at Hello Kitty Sweets and endless possibilities. I was surprised when the sales person said they were for the microwave- I guess because people in Japan and Taiwan don't often have ovens in their homes so they bake using their microwaves. So the next few nights I spent googling "microwave cakes" and "microwave silicone molds" to see if I could use regular cake mix or if I had to adjust the recipe. Found too many different recipes so I still have to experiment. I considered making jello or almond jello, brownies or cake cookies or using pancake batter. In the end, I decided to try to melt down some butterscotch chips I had. First, I used a paper towel and wiped the mold with vegetable oil. This was a tip I read that said would help prep the mold and make it easier for the candies to pop out. Next I put a layer of chips in each pocket and microwaved it for a minute at high then 20 second intervals. I stirred it but it was a creamy consistency, not runny and I was afraid of burning it, so I spread it around. I also dropped the tray a few times to try to get air bubbles out but I think it was too thick to make a difference. I tried to make them thin, but to get the shape it still had to have some depth. Then I popped it in the freezer for about five minutes. When they were hard, I popped one out to try- since I didn't make it super thick, the ears broke off quite easily. Also there were tiny air pockets on most of them. I even tried remelting them over a double boiler on the stove but the consistency was like peanut butter. Not bad for my first try and it was pretty easy. Need some work to make it pretty and less sweet though! Next time I'll use a stainless steel pan and try adding heavy cream or butter and a pinch of sea salt. I also some some ideas for putting a layer of ice cream to make little ice cream balls, or cake mixed with frosting to make sort of reverse cake balls. Lots to play with! Anyone have any good microwave cake mix or experience with detailed silicone molds?